all about: refinement, elegance and lovely fruit balance. 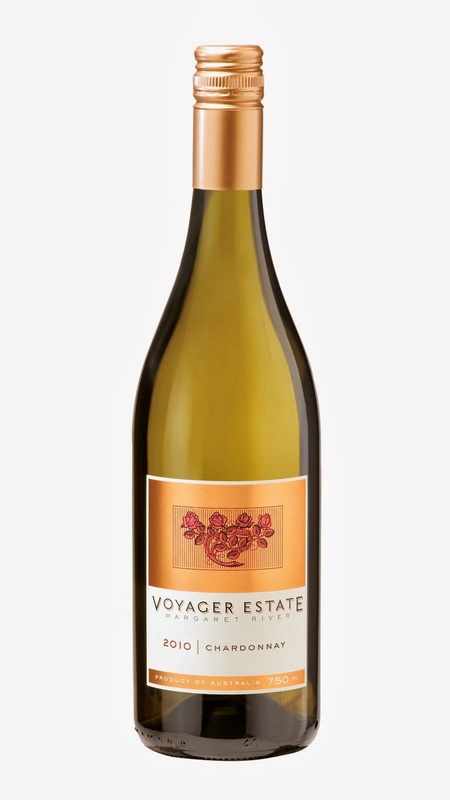 IT was way back in 1832 that Chardonnay grapes were first planted in Australia by James Busby at both the fledgling Sydney Botanical Gardens and at his own Kirkton estate in the Hunter Valley, with canes he brought in from France. 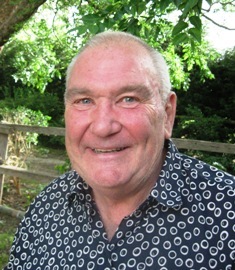 While the initial wine was instantly acceptable, it was 120 years later in the 1950s that sales of Chardonnay began to peak, and in the 1980s and '90s went absolutely gang-busters – until winemakers' propensity then to chuck oak into their barrels by the shovel-full, saw Chardonnay become so big, fat and oaky that sales suddenly crashed, and softer and less-aggressive Sauvignon Blanc took-over as our white of first choice. Today Chardonnay is enjoying a well-deserved comeback, due to local offerings reverting to being once again more refined, elegant and well-balanced, and without all that wood. 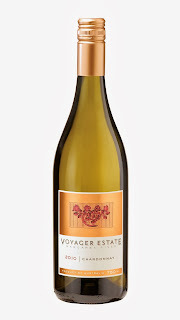 One enticing example worth trying is from Western Australia's Margaret River, a Voyager Estate 2010 that displays vibrant Chardonnay citrus fruit flavours (in the lime, lemon and grapefruit spectrum,) with a nice savoury element, and a clean flinty finish. sitting up and really taking notice. If you want to impress at that next special dinner party, at $45 this would be a perfect taste-match on the table with seared Red Emperor and braised fennel. ONE TO NOTE: GALLOPING into the hearts of buy-now-drink-now red wine drinkers is Rymill's The Yearling Coonawarra Cabernet Sauvignon, the original wine in The Yearling stable and the latest release, the 2012, an absolute cracker. The product of a perfect vintage and the skilled hand of Rymill's Senior Winemaker, Sandrine Gimon this is one that's all about nice upfront blackcurrant and cherry fruit flavours, a fresh sweetness, and hints of chocolate and mint. Soft and juicy, yet lively enough to have you and friends really taking notice, do as Sandrine suggests and enjoy with roast rib-eye and root vegetables. Pay $15.95. NEED A FOOD/DRINK IDEA? 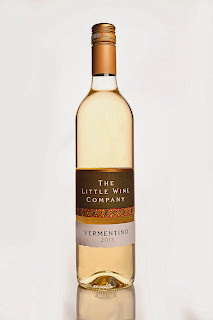 Check out http://www.vintnews.com We're also on Australian Good Food Guide in main blog. This Summerside, one of Canberra’s newest hotspots – East Hotel – is playing host to a number of local wineries. Every Friday during February, a handful of the region’s finest wineries will head to Kingston to peddle their wares the old fashioned way; taste and talk. This will be an evening of wine sampling in a chilled atmosphere with a live DJ, nibbles and of course, amazing wine. Wineries that will be showcased include; Four Winds Vineyard, Capital Wines, Mount Majura Vineyard, Lerida Estate, Eden Road Wines and Wily Trout Vineyard. So why not change your usual Friday night routine, and head to East Hotel on Friday nights from 5.30pm. Bookings essential. Why not stay the night? Take a look at the great packages on offer at EAST Hotel... and then you can head to Silo Bakery on Saturday morning for the ultimate breakfast experience. in the naming, rewarding in the drinking. 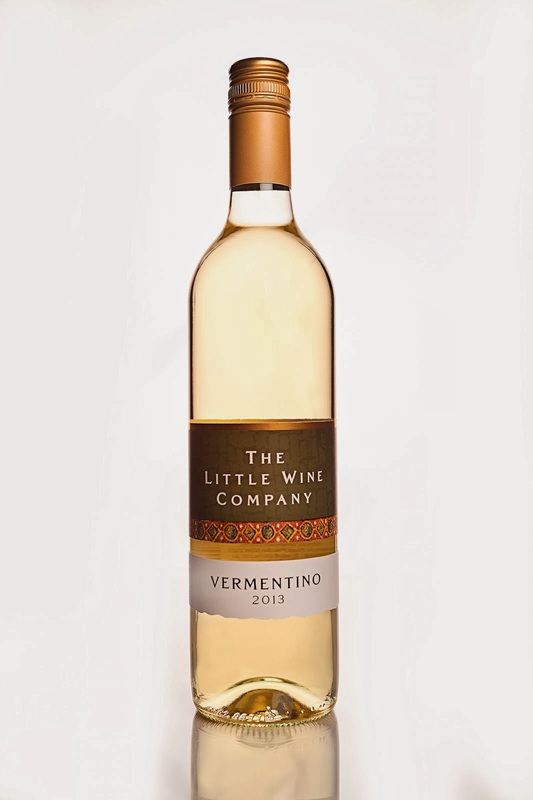 WE'RE certainly not averse to a nicely chilled Sauvignon Blanc on a hot day – nor any other day for that matter – and one we particularly enjoyed over the recent holidays was not from Australia nor even from New Zealand… it hailed all the way from South Africa. And interestingly from near Cape Agulhas, the cool-climate, southern-most point on the African continent, and made from grapes grown on what was found in 2001 by a group of friends looking for a vineyard site, as a decrepit, run-down, one-time wheat farm. Bottled under a First Sighting label this 2013 Sauvignon Blanc is a rewarding drop that reflects it's slow-ripening from one of the region's wettest winters with accompanying cool and frosty nights, and followed by a dry January with top summer temperatures of just 29C. With 15% Semillon blended into its base 85% Sauvignon Blanc, it's a wine with nice tropical and citrus fruit flavours that takes well to chilling. At $18 match it with fish, pork chops, other white meats, or even sushi; the First Sighting name comes from the "first sighting" of the African continent by Portuguese explorer Bartolomeu Dias way back in 1488. If you have difficulty finding it, get onto importers Africape Wines who have offices in Sydney, Melbourne, Brisbane and Perth. day, you'll not be disappointed. 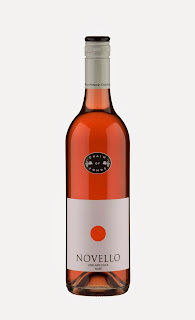 ONE TO NOTE: ADELAIDE HILLS' Chain of Ponds has released another great quaffer for hot weather enjoyment, a 2013 Novello Rosé to simply enjoy on its own or to put on the table with summery seafood salads, cheese platters, tapas or as a nice foil to curries and other spicy dishes. 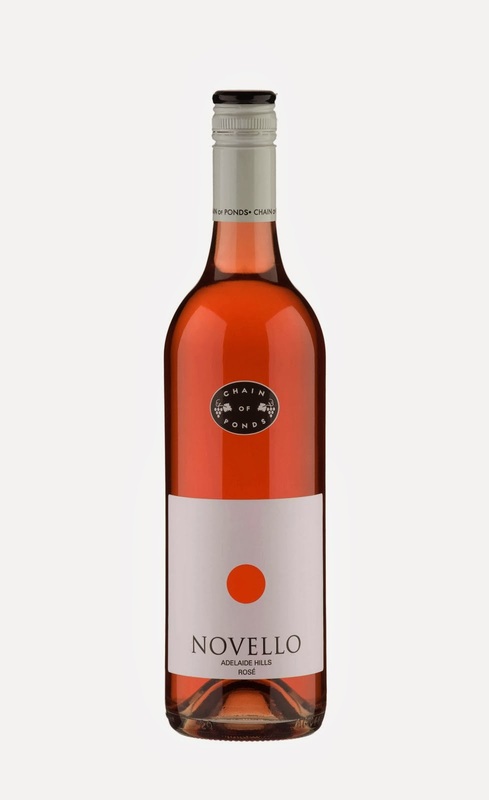 Really vibrant pink in colour, it has a bouquet all about strawberries and cream and suggestions of fresh raspberries, with strawberries and raspberries on the palate, and all balanced with a quite subtle spicy finish and a sweetness that's not-overpowering. Good buying at $18 it's a rewarding blend of Sangiovese (72%) and Pinot Noir (28%) for summertime enjoyment.